This started off too vinegary so I ended up adding more brown sugar and molasses (final amounts in ingredients list accounts for this). I’d add more peppers for additional heat next time. 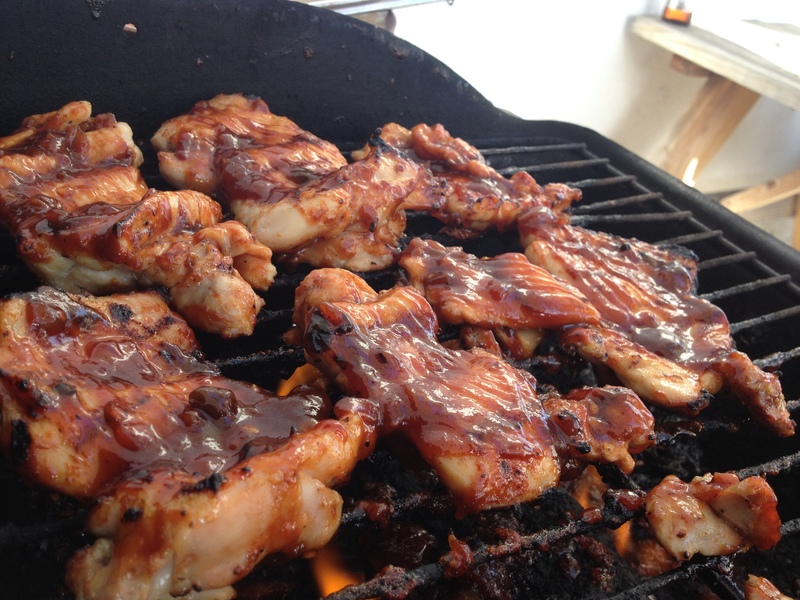 Yes, we like to make our taste buds sizzle. We opted to slather this stuff on some chicken legs and grill ’em — I’m excited to try using it to make a homemade BBQ chicken pizza (because I have enough left over). Next time I want to try it on ribs. 1. Heat olive oil in a medium saucepan over medium/high heat. Add onion, garlic, peppers, cayenne, pepper flakes, cumin, chili powder, paprika, garlic powder, ground mustard, and salt and pepper. Cook about 8 minutes, until onions are translucent. Make sure you have that overhead vent on because those peppers and spices are gonna get pretty crazy (and you just might start sneezing and coughing a ton). 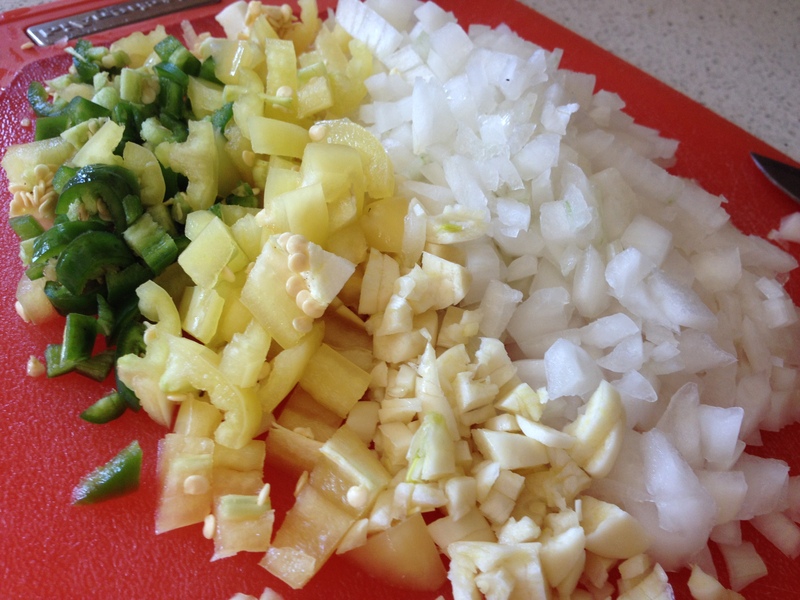 If you don’t have yellow peppers or serranos, just add more jalapenos. If you don’t have white onion, red onion should work just as well. 2. Add the brown sugar, ketchup, vinegar, Worcestershire and molasses. Bring the mixture to a boil, reduce to a simmer, and cook for 30 minutes to an hour (however thick you want to make it), stirring periodically. 3. Remove from heat and set aside to cool. 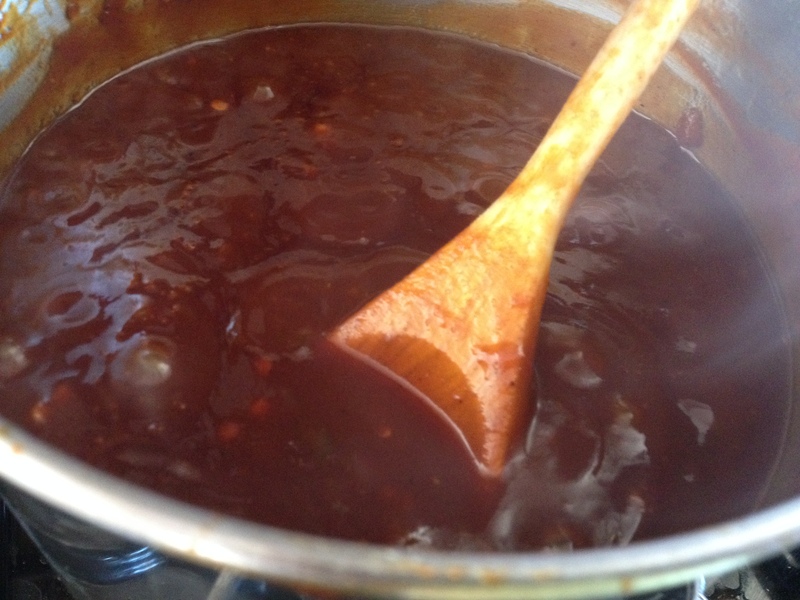 Use the sauce immediately or cover and refrigerate for up to 2 weeks, until ready to use. This made about 5 cups, so you’re going to want to either bottle it up and give some away as a gift (hint hint!) or plan on a bunch of grilling happening over the next two weeks. I made a quesadilla with it yesterday and dipped my flautas in it last night. I can’t tell you how (sorry for the total cliche) lip-smackin’ delish this is. 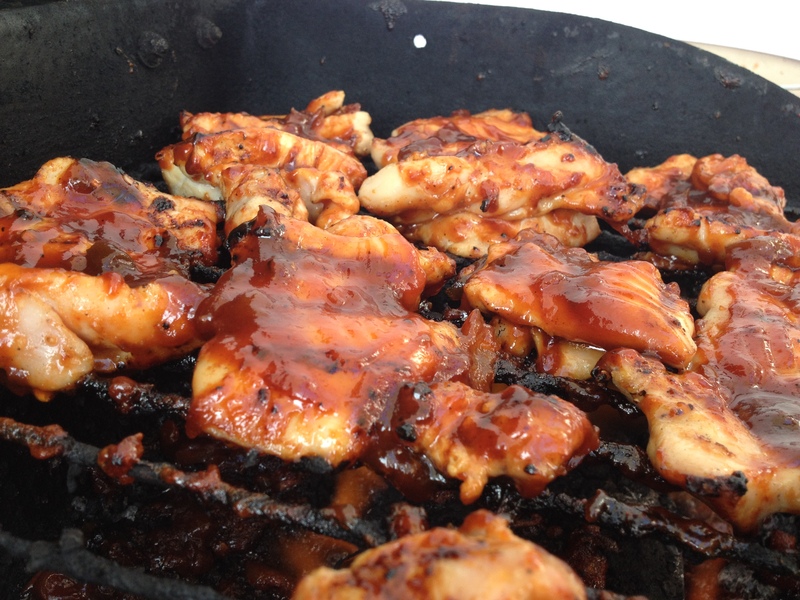 If you’re getting your grill on this weekend for Father’s Day (shout out to all those amazing dads out there! ), you might want to impress the men and give this recipe a shot. You will NOT be disappointed. 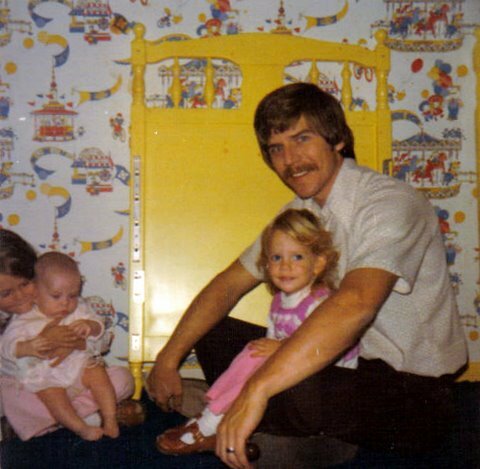 In honor of one of THE MOST amazing dads who is no longer with us but is always and forever in our hearts, here’s a Throwback Thursday shot of my dad with me and my two older sisters (that’s my middle sister sitting on his lap). Miss you everyday, pops! 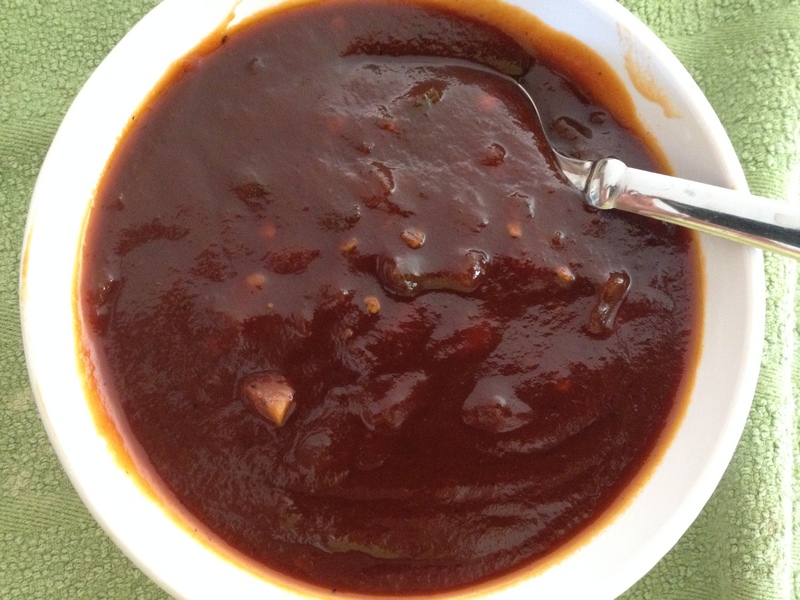 You would have LOVED this BBQ sauce.